Outdoor getaway adventures fit for the family. Locations around the country for any type of adventure you want! Conveniently located in the beautiful Cascade Mountain Range, the Cascade Meadows Rv Resort is the perfect place to get away in Central Oregon. On the banks of the Crane Prairie Reservoir, in the Deschutes National Forest, this resort offers an RV park with full hook-ups, as well as guide service for local fishing and exploring. 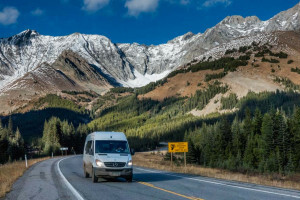 53 Full hook up RV sites complete with trees and beautiful views. Enjoy the putting green and clubhouse during your stay too! Single RV site in the heart of Bend's Westside. Walking distance to Downtown/Galveston's restaurants 10 Barrel, The Lot, Brother Johns, Drake Park, and the Old Mill. Suites, private view balcony rooms, Tipis or RV sites. Kahneeta has it all at this great resort and casino. Try the exciting water slides! RV resort located next to waterfront areas. Delicious cafe and motel available for guests. Fishing, swimming, jet skiing, and more. Nestled in the beautiful Cascade Mountains enjoy 60 RV spots, two clubhouses, nine acres and a great riverfront location.